C's Collection – Fancy Cocktails & Leopard Print Lover Living in D.C. If you remember a few posts back I was searching for dining chairs and landed on the windsor style. Well thank goodness I finally found the ‘one’ but in the process I came across so many amazing dining chairs. And although I didn’t want to mismatch the chairs in my dining room, I love the look of two different chairs and it’s even better when they’re complete opposites. Plus I love navy blue and dark green… especially in leather so when I saw these dining chairs I instantly wanted to mockup a dining room for them to live. I’m going to try and mock up some rooms every so often – preferably on Mondays to keep the ‘Monday Mockup’ theme going – so I can get my design juices flowing and hopefully inspire a few of you who are looking to redo a room or make some one off updates in the future! Simple, clean, and natural. The boxy table has an unexpected twist with alternating leg directions, and the shade is a creamy dream. I played on the color with the black cane chairs from DWR while adding contrast, and pulled out more natural shades by going with an olive green leather wrapped chair. (Mouth watering.) To give an airy view, I’d place the cane chairs on either end and the wrapped leather chairs on the sides. A muted cowhide rug will add additional texture and an eye catching shape to the room full of rectangles. I love love the whimsical look of an olive tree so tuck that in a corner and let the fluted chandelier shine in all it’s simplistic glory. Remember when our kitchen looked like this? Yeah… I mean A for effort for trying to make it cute, right?! Ok, B+. After a year of living with it and really figuring out our pain points – like the non-existent counter space. We met with a few different contractors to begin figuring out how we could transform this peach galley into a dream kitchen and despite it taking longer than ‘promised’ (surprise, surprise) I could not be happier with the outcome. Looking at these before pictures have me pinching myself all over again. I can’t believe that from my current view there was a wall and instead I see pretty clean lines and the dreamest of dreamy countertops and a one slab backsplash. Our house just feels so much bigger despite not adding any actual space. We saved nothing. Well I take that back, we kept the hardwood floors, but every cabinet and appliance and tile that was used for the countertop was tossed and I was singing hallelujah in the background. Add the bourbon, apple cider syrup, and lemon juice to the shaker. Boil the apple cider, 1 cinnamon stick, and orange zest over high heat until reduced. (I boiled two cups down to 3/4 cup). Set aside to chill. Break cinnamon stick in half. Add the bourbon, apple cider syrup, additional cinnamon stick pieces, and lemon juice to the shaker. Add ice above the level of the liquid and shake. Pour over ice and garnish with your choice of a clove, cinnamon stick, or orange peel! Cheers! So in true ‘me’ fashion I decided to sell our dining chairs a couple days after our reno started. So on top of the kitchen renovation and work, and life, let’s just throw in searching for new dining chairs! I have good news and bad news when it comes to this. Good news is I think that I’ve narrowed down to a style, bad news is there are about a million variations of such style! Gah! So here we are, scrolling away on pinterest and finding some inspo to help narrow down which Windsor to choose. High back, low profile, mid-century inspired… What’s your favorite? This is our table for some reference, which is a dark stained solid wood, walnut table with clean lines and angled tapered legs. I love this table, which makes picking out dining chairs that I love just as much a feat! Kitchen update: We have no more wall, no more holes in the floor, and the drywall is up! We deviated from our project plans just a tad and asked the electrician to add recessed lighting instead of figuring out which fixture to put up. Dedicated lines have been run to the backroom, and we have tons of new outlets! Might sound a little crazy since it’s a dusty mess, but I was almost sad to see the cabinets be installed. The openness is so nice, especially since it felt so cramped for the year we lived here, but big changes are about to start happening every day and all the decisions that I’ve lost sleep over are coming alive! The countertops, picking out paint colors, choosing a sink and the faucet are all on the horizon and I am happier than a kid on Christmas morning! I’m notorious for making quick decisions– and learned that quick decisions aren’t always the right decision, so I’m feeling reassured that this design process has taken some time. All these decisions are expensive choices to get wrong, so getting them right is important. Color scheme: As you’ve learned from this post, the color scheme is my favorite of all time… black, white, and gray. Simple and clean. Appliances: We went primarily with GE Cafe appliances. I’m most excited about counter-depth fridge that is super squared off (read not rounded) and a flat front. Since you’ll see the fridge in the distance as you enter our front door, I didn’t want any water or ice makers butting out. (The GE Cafe fridge still has a filtered water dispenser inside the door which is amazing!) I’m also giddy to use our slide in range. We went with a dual-fuel, six burner range with two ovens. …Yes you read that right, two ovens! With our small footprint, double wall ovens wasn’t an option at all but the GE Cafe range gave us the ability to have two ovens to make future Thanksgiving dinners a little less stressful! Hardware: All of our appliances are stainless steel including our sink and faucet. I spent many a night looking at different knobs and pulls and decided confidentially to go all black everythannnng. It’s my favorite color and I love the edginess it adds. Shelving and Decor: During the design phase we went back and forth on open shelving and ultimately I decided to go with shelving in the backroom in addition to adding a piece of my artwork to add dimension. (I’m currently working on a DIY project to frame a canvas – stand by!) The shelf is black, and three tiered and I’m planning to “decorate” with some of my cooking books, glassware, and wood accents. Paint: Right now most of our house is painted Sherwin Williams Agreeable Gray. 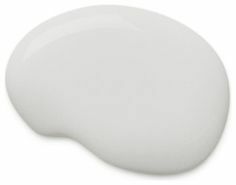 It’s a good neutral, and I’m sure as heck glad that the sellers painted it that shade instead of some crazy colors we saw on our house hunt, but since our kitchen and dining room are in the middle of the house, I’m leaning more toward painting a shade of white. Not stark, but a softer calm shade to brighten the space up. There’s all the updates I can think of for today but follow along my Instagram for more live happenings! Wish me luck and patience! Catasphrophic hurricane coming your way?! Flo is just reminding us that summer isn’t over yet! Forget the halloween decor and pumpkin spice lattes… go home, whip up a batch of guacamole and shake up this cucumber cilantro margarita and ignore all this gosh darn rain! Warning: Don’t stop reading if you hate cilantro, which I know is common, just skip the cilantro for a cool twist to the traditional margarita that’s still super delicious! Muddle 3 slices cucumber, 2-3 tablespoons cilantro, leaves, the sugar and 1 lime wedge in the bottom of a cocktail shaker. Add the tequila, triple sec and lime juice. Fill the shaker with ice and shake vigorously. Circle the rim of your glass with the remaining wedge of lime, and add salt or sugar if desired. Pour over either pebbled/crushed ice or a large ice-cube and enjoy!